I’ve been feeling a bit ‘meh’ about some things lately, and perhaps putting some library confessions out there might at least make me feel more honest about where I feel I am professionally and what I’m doing to improve myself. With blogging, it’s easy to post only the good things and make it look like you’re a library rock star, but the honest truth is that we all have things that we struggle with professionally. It’s what we do about them that really defines us. I’ve always felt that one of my shortcomings as a librarian is book talking. 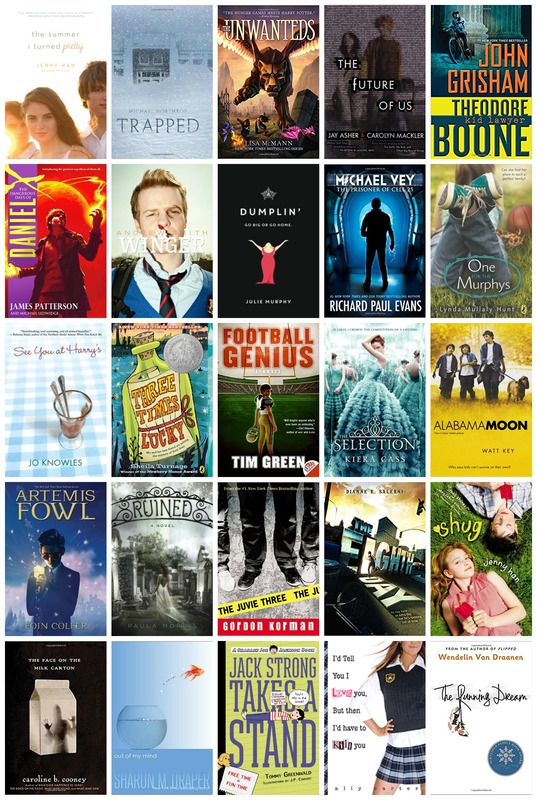 I know some teachers and other librarians who are book talking geniuses. I am not one of those people. Back in my elementary days, I could throw down a mean story time. And I feel like I’m great at connecting students with books on a one on one basis. That may be one of the roots of my book talking failures — I prefer to get to know students and their preferences, then recommend books I know they will enjoy. I usually establish those relationships so well that I don’t really have to ‘sell’ the books, I just hand them over and ask students to report back. So over the years, “Here — you’ll like this one,” is kind of the direction where my book talking skills have gone. There’s definitely not much of an art to that — so I’m working on it. As with most things that I do, I require thought time and preparation to be anywhere decent in my execution of book talks. I don’t think I’ll ever be one of those amazing-on-the-spot-book-talk-givers. With all of my middle school and freshmen library orientation/book check-out visits this year, I did a hand full of book talks as well. I went through and pulled a selection of books that I know and love, then I wrote little blurbs on sticky notes to put on the back to use as a guide when I book talked. Of course, I kept all of the stickies, because that was a lot of work! 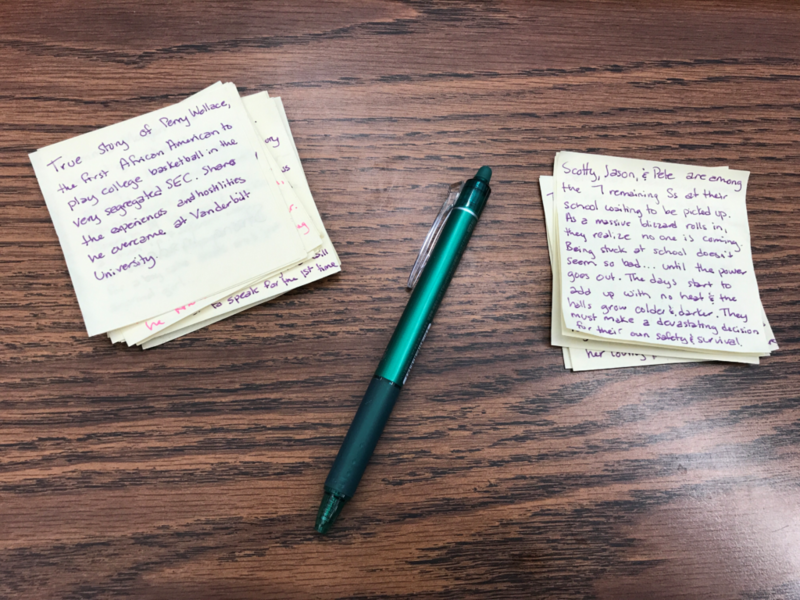 After two weeks of this, I realized handwritten sticky notes probably weren’t the best long term solution for keeping track of my book talk notes. 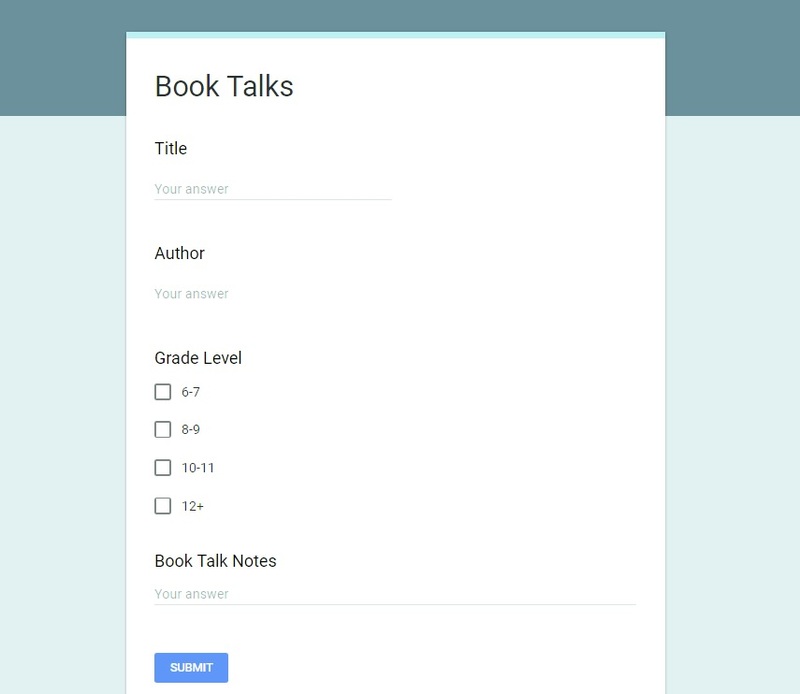 I’ve since made a Google Form where I’m inputting my notes so I can reprint them on sticky notes and reuse them in the future. Do you have any advice to improve book talking skills? 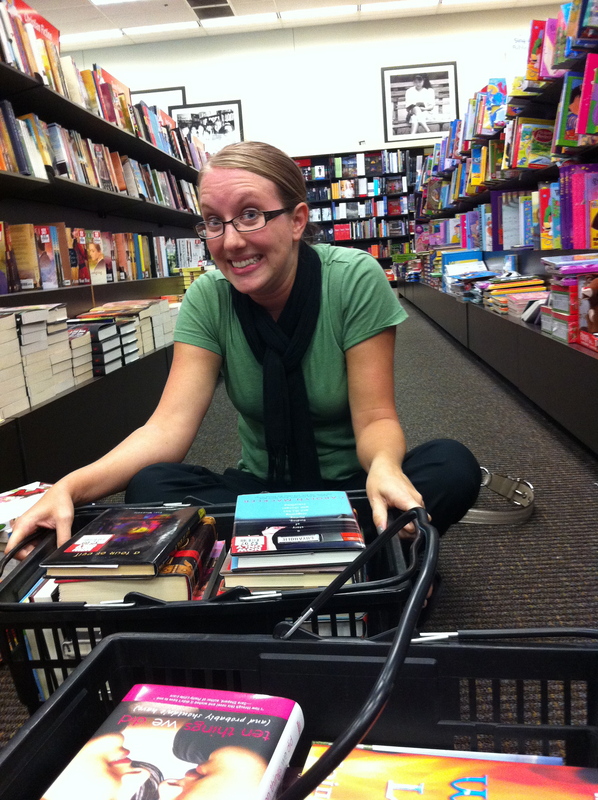 Or favorite books that are checked out every time you share them with students? One of the best things about being a librarian is connecting students with the right books. I feel like middle school is the time where kids really become life-long readers. They discover their reading preferences and start to read books with more meat to them. I love having our library arranged by genre, I find that students are able to browse the library and find books that are of interest to them very easily. Within each section, I have my go to recommendations that I find myself constantly suggesting to students. I thought I would share mine, and hope that you’ll leave me comments with any others that you love to recommend! 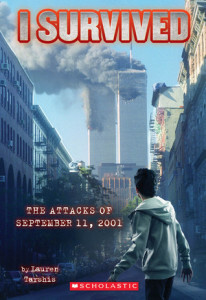 I love to recommend any books from the I Survived series by Lauren Tarshisto reluctant readers who are looking for a fast-paced read that isn’t intimidating. I’m so excited to see that this series is continuing to grow! Gordon Korman has several great action/adventure series, including The Island Trilogy, The Dive Trilogy, and The Everest Trilogy. 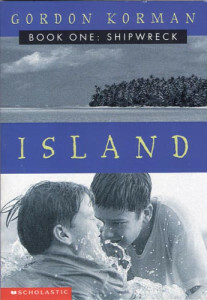 Similar to the I Survived, these short books are a great way to get reluctant readers to pick up a novel. 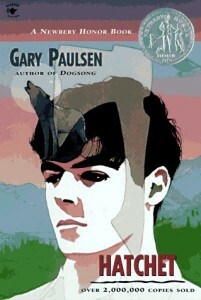 Hatchet by Gary Paulsen is one of those tried and true recommendations. Living in south Louisiana, so many of my students love to hunt and fish, so they really get into an outdoors adventure story. 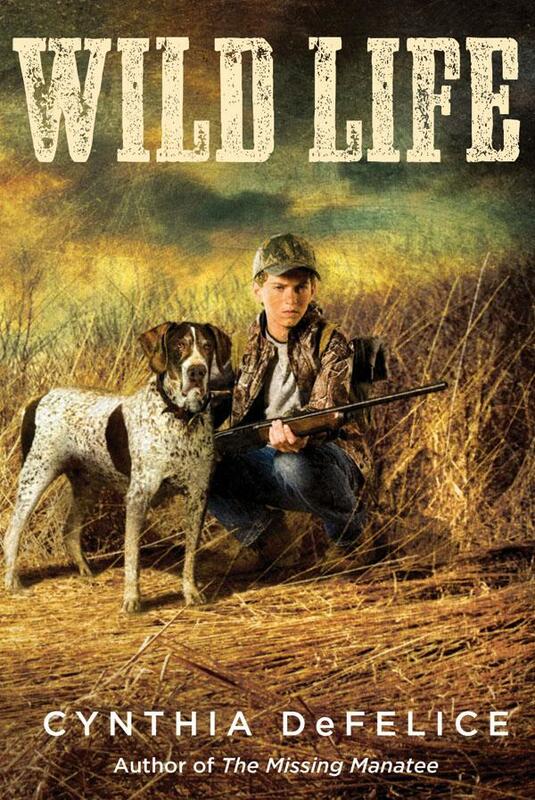 Other outdoor adventure recommendations include Wild Life by Cynthia DeFelice, The Great Wide Sea by M.H. 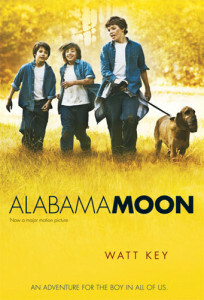 Herlong, and Alabama Moon by Watt Key. I have multiple copies of all of these titles, and they stay checked out all year long. 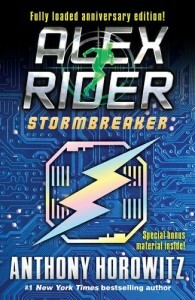 The Alex Rider series by Anthony Horowitz are great action-packed kid spy books that my students devour. Middle school students LOVE a series! For my action/adventure readers that I think would also be interested in reading science fiction/fantasy, I recommend The Limit by Kristen Landon and The Maximum Ride series by James Patterson. 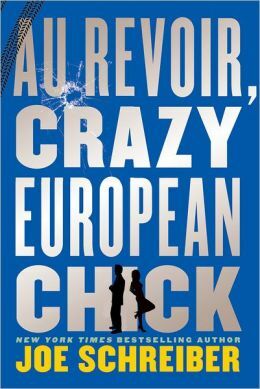 For my more mature readers who are into action and adventure, I love to recommend Au Revoir, Crazy European Chick and Son of the Mob by Gordon Korman. 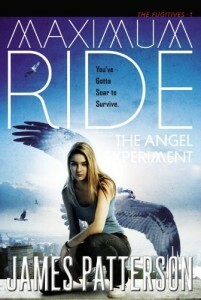 I thought both of these books were super fun, fast-paced reads! What books do you find yourself constantly recommending to students who are hunting for an action/adventure read? I’m sure this won’t come as a shock to anyone, but I’m obsessed with new books. I’m deeply devoted to Perma-Bound books — nothing gets me like the fresh scent of that polyvinyl adhesive holding together those beautiful, shiny covers with their laminated polyester coating. And on the rare occasion that that one of my Perma-Bound copies of Harry Potter and the Order of the Phoenix starts to come un-bound, I shoot them an email and they send me a fresh one. I’m quite upset when a book isn’t available in Perma-Bound. Nothing quite compares to opening boxes from a shipment from my beloved Perma-Bound. Very rarely am I able to bring myself to pay full price for a book from here. Well, I don’t actually have to pay full price because they give us an AWESOME 20% off for purchases for school. And there’s the occasional new release or hot cover that I just can’t leave without. 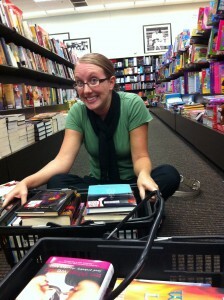 But what gets me REALLY giddy is when I leave with two heavy bags of books for less than $40. The number of (mostly hardcover!!) books that I score from them for less than $4 is pretty amazing. Copies of “I Am Number Four”, “Heist Society”, and “The Summer I Turned Pretty” are just a few of my recent finds that left me doing a jig as I exit the store with the beautiful new books! Regular visits to the book store also keep me aware of what’s hot and what’s new — definitely important as I try to stretch my ever-shrinking budget to get the most bang for the buck. And, honestly, that’s what it’s all about — doing the best I can to get the best possible books in the hands of my students! What are your tricks for stocking your library shelves? It’s been a while, folks! That’s because I’ve been on Spring Break. It was fab – the hubby and I visited our nieces in North Carolina, then I spent a few days relaxing with my mom in Gulf Shores, AL. I definitely needed some travel and relaxation to get me ready to push through these last weeks of school which are promising to be hectic and chaotic to say the least. Next week is iLEAP testing, so I’m doing some last minute reviewing with my third grade classes. We are doing some practice questions on PowerPoint that I found here. The review only took a little while, so afterwards we did a lesson on Internet Safety. 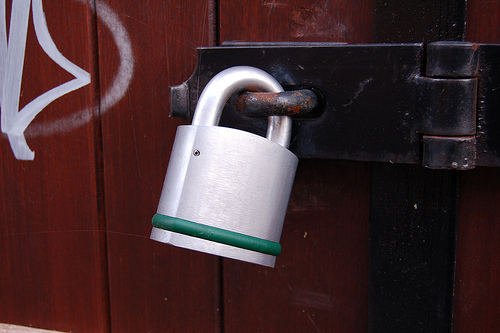 It’s so important that we start teaching kids how to realistically be protective of their identities online. I used this really great website created by the Virginia DOE and the Professor Garfield Foundation, which you can check out here. There’s no doubt that my kids love Garfield, I mean, he’s a pretty witty cat. I really like the way this site is set up – for the topics of Internet Safety and Cyber Bullying there’s a 5 minute cartoon followed by some interactive questions. I did just the Internet Safety activities with my 3rd graders because of the review time we spent, but I did both with my 2nd graders. I think they really got how they need to not share their “yappy.” Good stuff, man! In other news, I’ve applied to grad school! I’ve been trying to convince my college BFF to go back with me, but she’s just not ready yet. So I bit the bullet and applied to go back all by my lonesome. 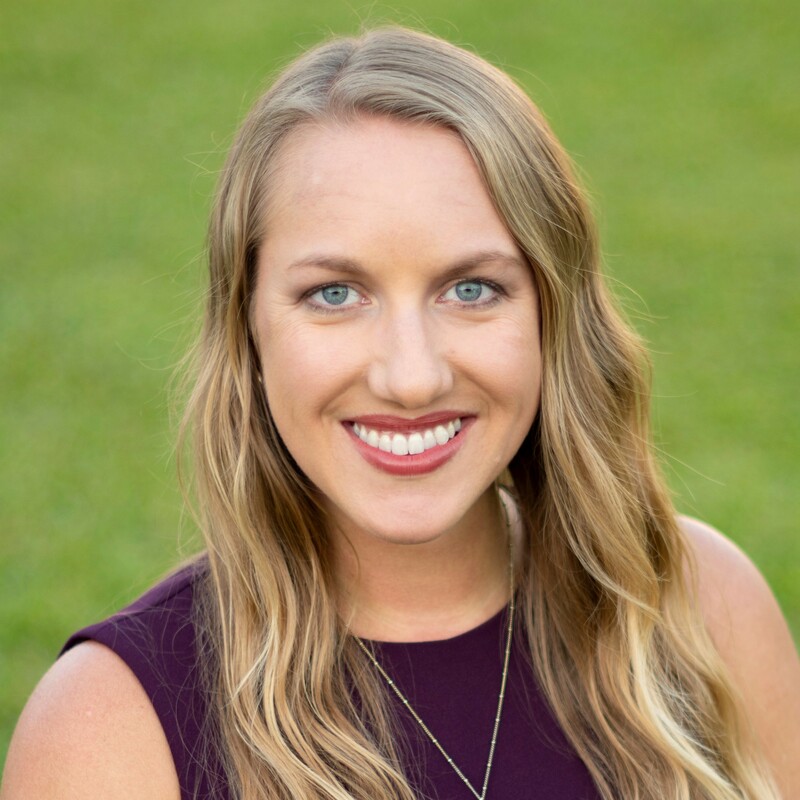 I’ve found a really great program at Northwestern State University here in Louisiana that has a 100% online program in Educational Technology Leadership. Yep, that’s all me! I’m nervous, excited, and can’t wait to get started. Between yearbook, being sick, Mardi Gras festivities, Take One, and the everyday library chaos, I have not been able to blog about Book Club! The kids are having such a great time with our after school Book Club, and I am too! I’m learning a lot about managing a program like this during our first 6 week run of the Book Club. We have 5 groups of 8-10 students that are meeting on Tuesdays and Thursdays after school for an hour. Each group is reading a different book and at meetings the students are working on creative/research oriented activities. 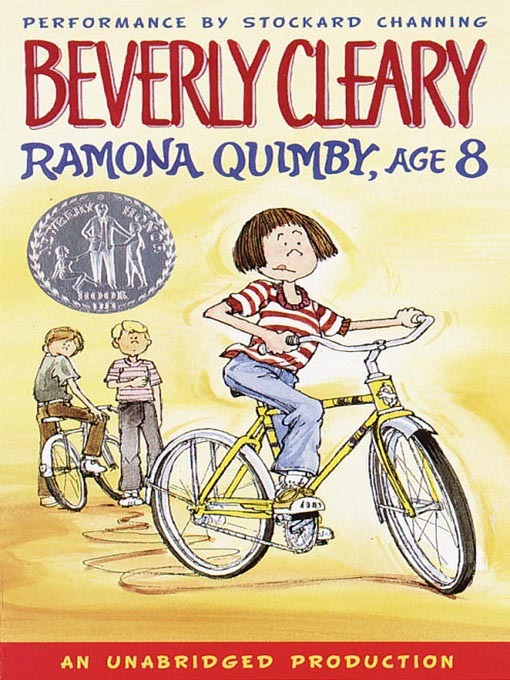 The first book that my group read was Ramona Quimby, Age 8 by Beverly Cleary. 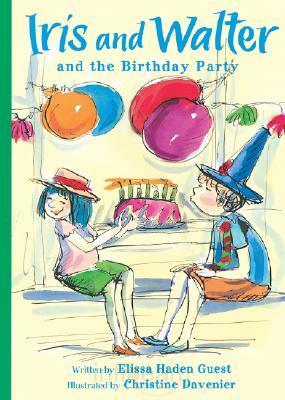 My group really enjoyed this book, and several of them have already started reading other Ramona books. For our activity, they split into two groups and made a commerical for the book. They were slightly silly, but had a lot of fun doing it. I videoed them and they weren’t overly proud of their final product to the point of wanting to share it with others, but it was a good time none the less. 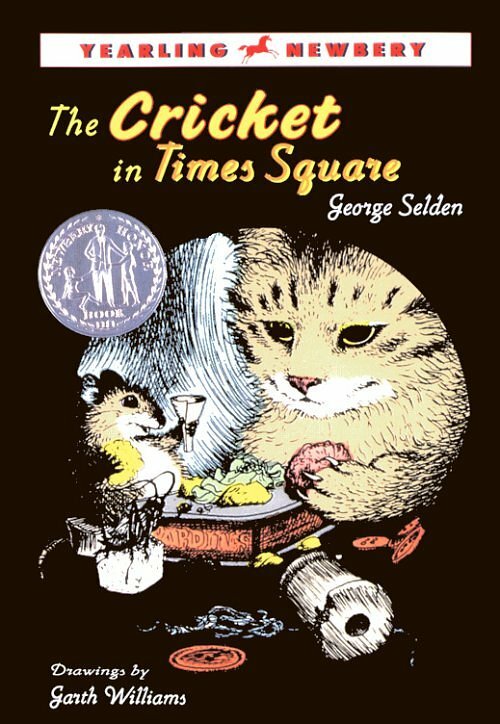 Yesterday I introduced our next book – The Cricket in Times Square by George Selden. I’m really excited about our project for this book – we’re going to make our own newspaper! 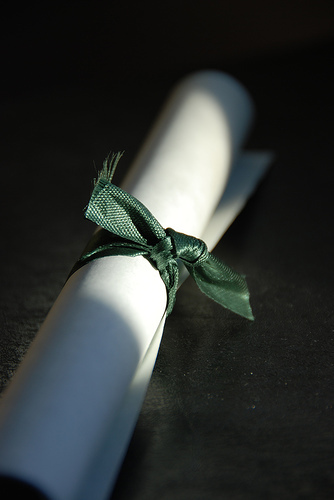 In the paper, each student will have two articles featured. One will be about an attraction or event in NYC, the other will be a book review. I have high hopes for the outcome of this project. I’m hoping we’ll come out with a much more polished finished product this time! I think this is something my group could be really proud of. And I really hope they enjoy this book as much as I did! This was an incredibly busy week. Lots of exciting things are going on in the library. For my Take One! lesson that I plan to video, I’m planning on using Cajun books. My third grade students are going to use the illustrations to make inferences and create their own readers theatre scripts. So this week, I read them a Cajun tale. I read one to my second graders too. They’re just so much fun! 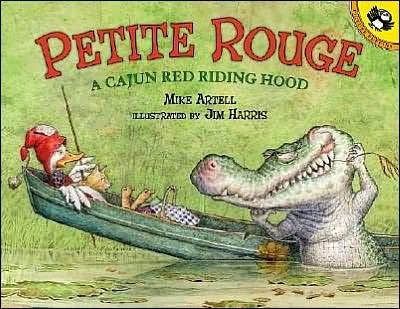 I read Petite Rouge and Three Little Cajun Pigs, both by Mike Artell and illustrated by Jim Harris. I LOVE THESE BOOKS! 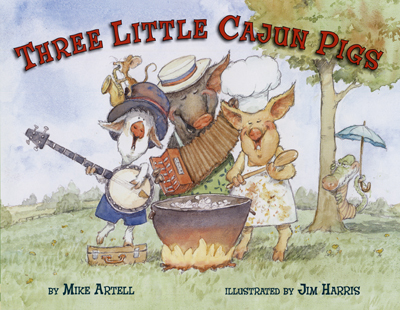 If you have Cajun roots, then you need to buy these books for your children. 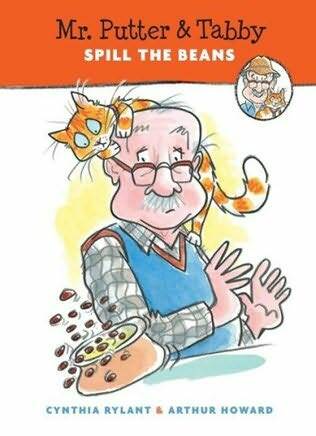 They are so much fun to read – and they MUST be read aloud. It really captures the Cajun dialect and the rhyming scheme is great. The characters are lovable and full of personality. The illustrations are so detailed and incredible. I cannot say enough good things about these books. They would be great for a compare/contrast lesson in a fairy tales unit. 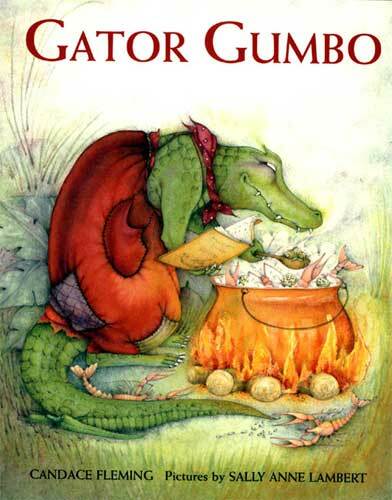 Gator Gumbo by Candace Fleming is another great Cajun retelling of a classic story. This one is a version of “The Little Red Hen,” but with a very different ending. I read this one to a few of my classes to mix things up, and they really liked it. I bought this one for my niece, but haven’t been able to part with it yet – I need to buy another copy. 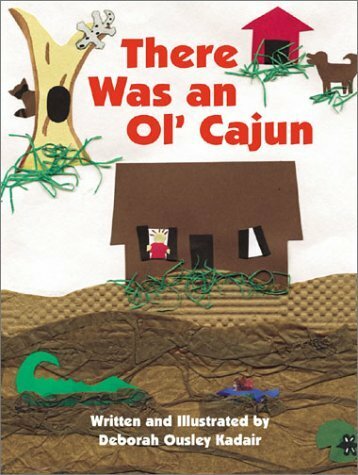 There Was an Ol’ Cajun by Deborah Ousley Kadair is a spin-off on the old lady who swallowed a fly. The whole series of the lady who swallowed the ocean/pie/snow/etc. is very popular with my kids, so I know they will love this one as well. Lu and the Swamp Ghost by James Carville is a cute, original Cajun story. This one comes with a CD of the author reading the book, which I really enjoy. This is a really great story with fun illustrations. 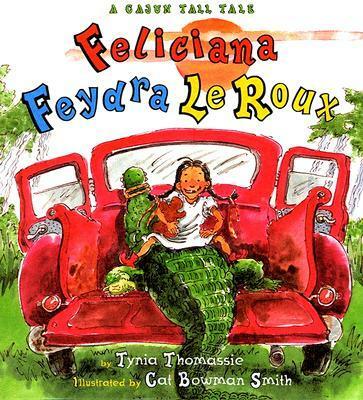 Feliciana Feydra LeRoux by Tynia Thomassie is another favorite of mine. I love it because it captures the Cajun lifestyle with the big family full of silly nicknames. 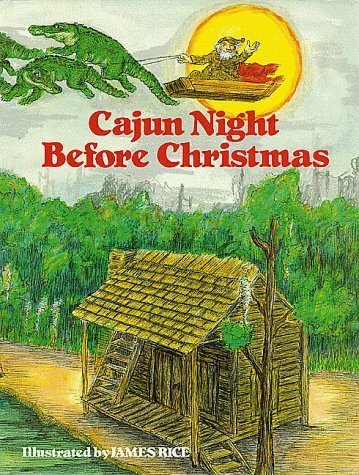 The illustrations by Cat Bowman Smith are really great as well…even the pictures have a Cajun feel to them. I laughed through this entire story! It’s another one that really caputres the spirit of ol’ Cajuns. 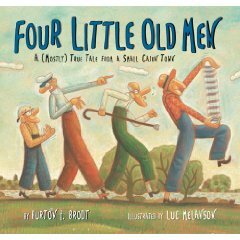 Four Little Old Men by Burton Brodt tells the story of four old men who play bouree together. This one has more fun names, such as “Rigger Moritz.” Like so many of these books, only an adult who has really been exposed to the Cajun lifestyle will completely appreciate all of the humor — but I’m sure the kids would enjoy it, too. Especially if it were being read to them by a parent/grandparent who could guide them through the humor. Here are some more staples to any collection of Cajun children’s books. 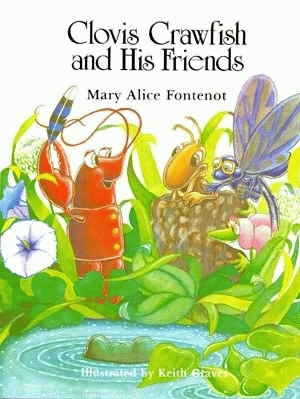 Mary Alice Fontenot has written 19 tales of Clovis Crawfish and his friends since 1961. 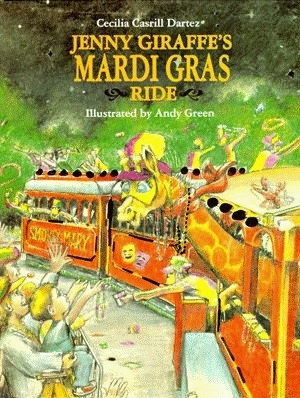 Cecilia Castrill Dartez has written four stories about Jenny Giraffe and her adventures in New Orleans. 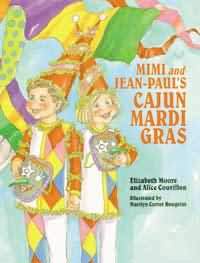 Elizabeth Moore and Alice Couvillion’s Mimi and Jean-Paul’s Cajun Mardi Gras is a good one, as well. Being an “ancillary” teacher, I am on the DIBELs team at my school. We DIBELed all of our students on Tuesday, Thursday, and Friday of this past week. And second grade had a grade level planning time on Wednesday afternoon, so us ancillary folk covered their classes so they could meet. So I taught a whopping three of my classes this week and had subs cover them on the other days. I wanted to do a lesson on Dr. Martin Luther King since we celebrated his birthday on Monday. I needed a lesson that would translate well for my subs. We read Martin’s Big Words by Doreen Rapapport and AMAZINGLY illustrated by Bryan Collier. This is a great book that captures the essence of the life of Dr. Martin Luther King, Jr. 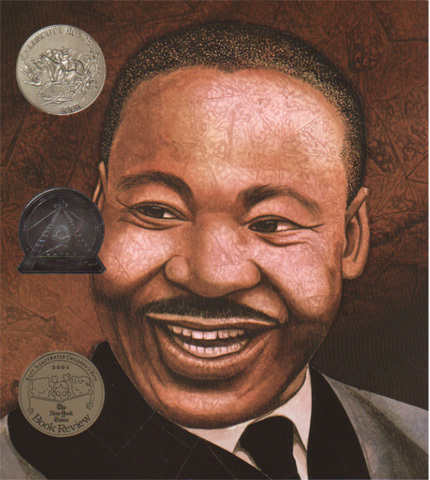 This book has received many awards, including Caldecott Honor and Coretta Scott King Honor. 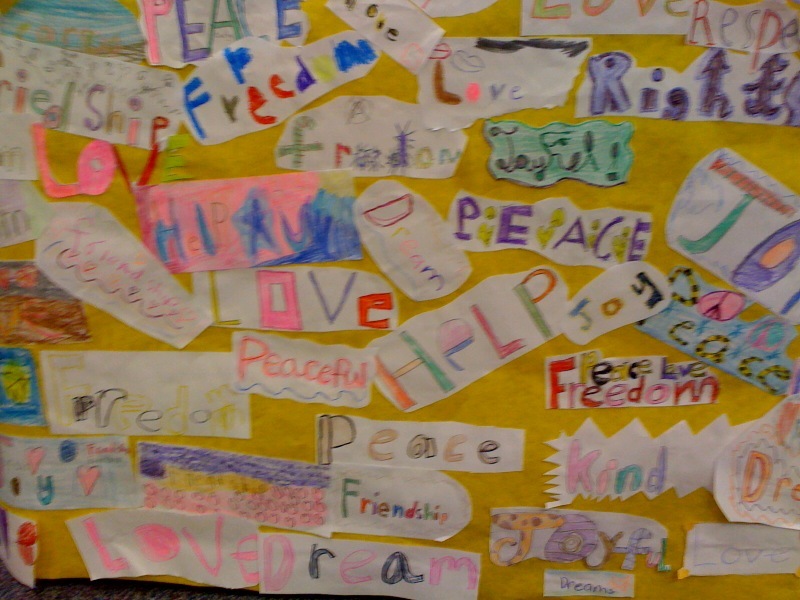 After reading and discussing the story, we made a collage of words that come to mind when thinking of MLK. It wraps all the way around my desk, and I really love it! They did a great job with their big words. This is going to be a very busy week – really getting my Take One! lesson ready to video and the first week of our school Book Club. Half way through my second year of working with 2nd and 3rd graders, I think I’ve really started to master the art of transitioning from picture books to chapter books. For the most part, second grade is when students are ready to begin the transition. 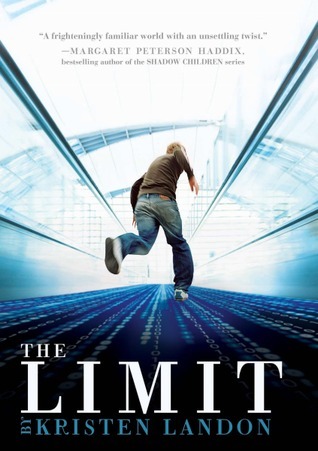 Some students do not want to make the transition because they are afraid of the length of a chapter book – they just don’t want to get out of their comfort zone. Others want the longest book they can possibly find, which tends to be something they are not going to find success in reading. Whether it’s giving them the little push into longer books that they’re leary of, or if it’s bringing them down several notches to a book that’s more realistic when their abilities are considered – I’ve found some books that the kids will embrace. Here’s my list of the go-to series chapter books. Both of these series by Cunthia Rylant are incredibly popular with my second graders. Once they start reading a book in one of these series, they want to read them all. 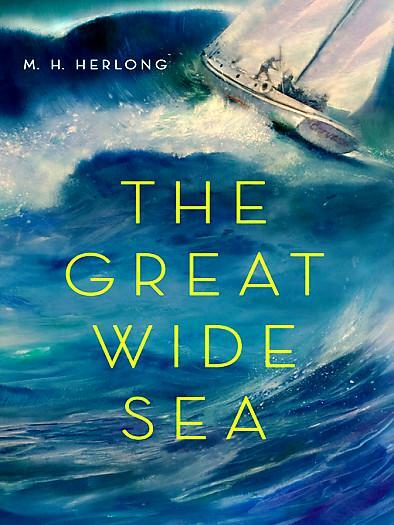 They have all of the characteristics of the best transitional books – colorful illustrations mixed in with the “chapter” formated text, larger font size, and adequate spacing between lines. Generally, if I have a second grader that has been DEVOURING picture books at an incredibly rapid pace, I try to move them into one of these series and they love it! Once again, two different series by the same author that really hits the mark right on. I go straight for these when I have a third grader who is a struggling reader that is dying to read chapter books like their friends. 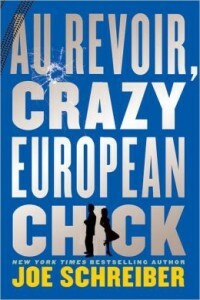 These books make a good stepping stone into longer series books such as Jigsaw Jones and A to Z Mysteries. 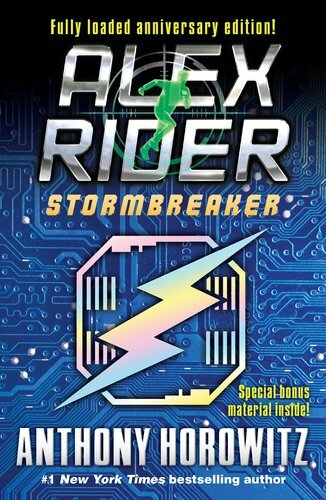 Several great classic stories in this series. Not *exactly* chapter books, since each book has five stories instead of one story broken into chapters, this is a great transition none the less. These are great books for children and parents to read together. Iris and Walter are the newest additions to my go-to transition collection. 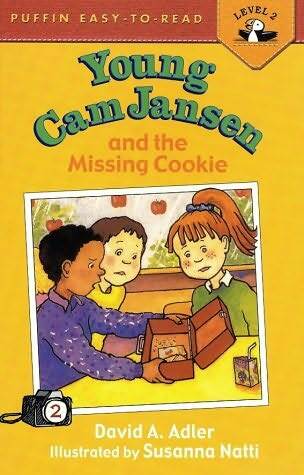 I purchased this series with the Cookin’ for Our Kids funds, and the kids have really enjoyed it so far! I’m always looking for more books that fit into this category, since helping my students make this transition is something I do every day. I’m blogging at home on a Friday morning because school is canceled today due to “potential severe weather.” I’m extrememly bummed out since this was going to be the only week that I would see all of my classes for the entire month of January, but I guess that’s life. I’m taking it as a chance to finish Hotel on the Corner of Bitter and Sweet for Sunday’s book club meeting. I should really take this opportunity to get myself on the Take One! National Board train, but sushi lunch or dinner with my college BFF sounds more appealing. We shall see how the day goes! Since this was our first week back from the holidays, I did a review lesson. I read Manners with a Library Book by Amanda Tourville. It’s short and to the point, which is exactly what I needed for the quick review. 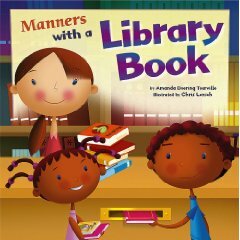 It goes through a list of things that we do are considered “good manners” when handling library books. Next, I spent a good chunk of time talking about AR and reviewing our goals. School wide silent reading time starts on Monday, so we needed to get pumped up! Then we did an activity that went extremely well. At each table, I had six books that had the exact same AR book level, but included picture books, a chapter book, nonfiction books, and a poetry book. First, the students had to find out how the books were similar, eventually discovering that they were all on the same level. Then they discussed differences and sorted them into fiction/nonfiction with their group. Finally, the group had to decide which they thought would be the easiest and most difficult books to read and take an AR quiz on. This lead to a really good discussion on how books on the same level can still vary. We talked about what makes a book more difficult (unfamiliar nonfiction topics, length of book, etc). Now getting those little guys to apply this knowledge when they look for their books is a whole different issue, but we’ll get there eventually!! So here’s a post that EVERYONE can use – because everyone should read at least one Christmas picture book this time of year. 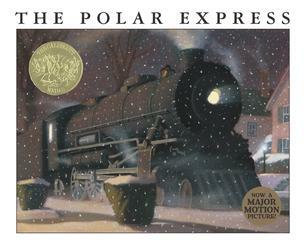 Read a book (with or without a child next to you) and remember what it was like to be young and anticipate Christmas. And be jealous, because I get to do that every day! Oh geez, I’m tearing up for the 20th time today. I’ve been overly emotional since I re-watched The Half Blood Prince DVD on Friday and (once again) mourned the loss of our beloved headmaster. I guess it’s just this sentimental time of year. So here’s where you can get sentimental: read one of these books, because they are my top 5 picks for my favorite Christmas children’s books. 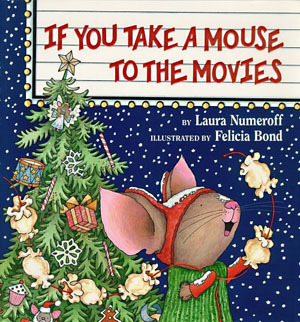 I love all of the “If you give a…” books by Laura Numeroff. 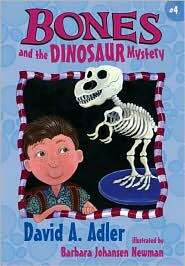 Kids love the series of events and the way the stories loop back to the beginning. The illustrations (by Felicia Bond) are adorable. And here’s an added bonus – the book and a stuffed animal version of the characters from these series are available at Kohl’s for $5 each (which means I buy a set for myself and a set for my niece). Plus 100% of the proceeds from these items go to the Kohl’s Cares for Kids foundation that supports children’s programs nationwide. They change out the books/stuffed toys seasonally, so I stop by frequently enough to get whatever they have (because it’s usually something good – I got Curious George last Christmas). 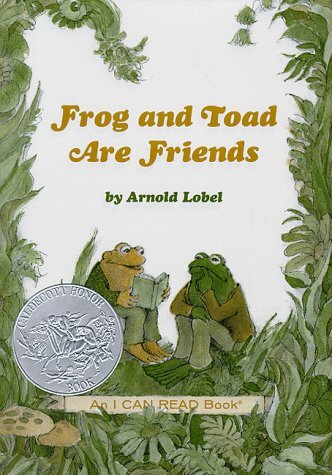 I want to be able to read this book aloud just like my elementary school librarian, Mrs. Richard (Ree-shard), read it to me. I need to start practicing my thick Cajun drawl so I can do it justice next year, perhaps. But I refuse to read it aloud until I’ve fully mastered the exaggerated accent. This book cannot be read any other way. Shá, you gon love dis story! It’s Dr. Seuss AND a Christmas story! It’s so much fun to read aloud and like all Dr. Seuss stories, it leaves you with a lot to talk about with your audience. I have a shirt that says, “Everything I know I learned from Dr. Seuss.” It’s not that far off, really. The man was a genius and this book is proof. The illustrations in this book are out of this world. The story gives me chills every time. As I usually am with children’s books turned movie, I wasn’t into the idea and refused to watch the movie for quite a while. It’s actually pretty good, but nothing could possible do this one justice. 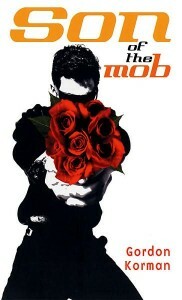 And if you have never read this one, shame on you. It’s a work of art. This is my favorite Christmas story. MY FAAAVORITE. I’ve probably said that 50 times today. My goal is to get everyone at my school to read this one. I had to use PhotoStory and record myself reading it because I get choked up every time. 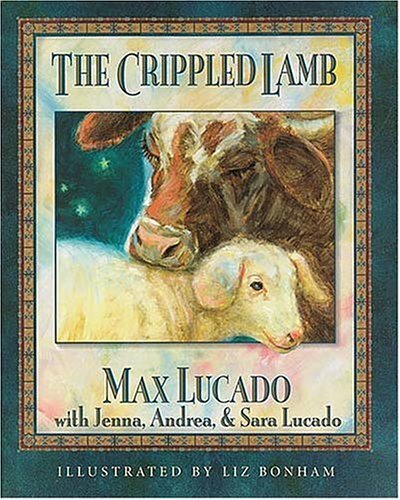 No glamour or magic here – this is a genuine Christmas story that will make you remember what it’s all about. 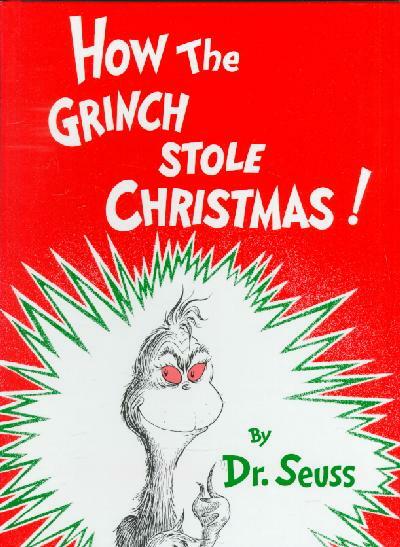 I’d suggest you buy it and read it every year to everyone you know, because that’s what I do.